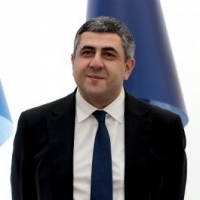 Mr. Zurab Pololikashvili is Secretary-General of the World Tourism Organization (UNWTO) since 1 January 2018 after being elected by the 22nd Session of UNWTO General Assembly. He was Ambassador Extraordinary and Plenipotentiary of Georgia to the Kingdom of Spain, the Principality of Andorra, the People’s Democratic Republic of Algeria and the Kingdom of Morocco and Permanent Representative of Georgia to the World Tourism Organization (UNWTO) up to December 2017. Between 2009 and 2010, he was Minister of Economic Development of Georgia.As a Minister of Economic Development of Georgia, Mr Pololikashvili was responsible for overseeing the country’s long-term fiscal growth strategies, advancing foreign trade and investment policy initiatives as well as for promoting the development of the tourism, infrastructure and transportation sectors. He was instrumental in launching an innovative policy for the development of tourism in Georgia, prioritizing the sphere on both the government and private sector agendas. During Mr Pololikashvili’s tenure as Minister of Economic Development, through key policy reforms, marketing activities, improvement of infrastructure and visa liberalization initiatives, Georgia nearly doubled the number of international tourist arrivals, from 1.5 million (2009) to exceeding the 2.8 million mark by 2011. Those reforms paved the way for sustainable tourism practices in Georgia and poverty alleviation initiatives, placing Georgia among the top tourism destinations in the region. Minister Pololikashvili successfully led the economic liberalization processes, introducing supportive policies for SMEs, and incentive programmes to attract foreign investment for the development of hard and soft infrastructure. 2006 – 2009 Ambassador Extraordinary and Plenipotentiary of Georgia to the Kingdom of Spain. 2005 – 2006 Deputy Minister of Foreign Affairs of Georgia. In this capacity as Deputy Minister of Foreign Affairs of Georgia, he supervised the departments for administrative, budgetary, financial and consular affairs, as well as the Department for Human Resources Management. Mr. Pololikashvili was responsible for ushering in a new phase of more liberal and secure visa regimes, facilitation of processes to ease border crossing procedures, and deepening relations with various international organizations, including UNWTO.